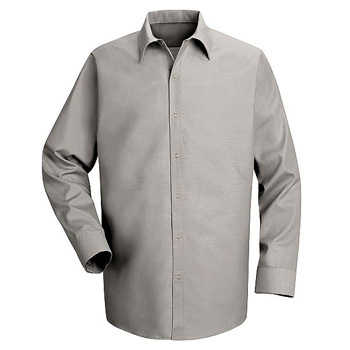 Long-sleeve poplin work shirt delivers a classic look with front placket snap closure. Snaps are an ideal people who work in the food processing industry or as an alternative for people who have difficulty with buttons. Poplin blend fabric is durable enough for industrial laundries. Easily customize work shirt with your company and/or employee name with embroidery or emblems. Please note: Sizes 4X-6X only available in light blue and white. Long sizes available only in certain colors.